Grease Duct Cleaning in Irvine CA | Flue Steam Inc. 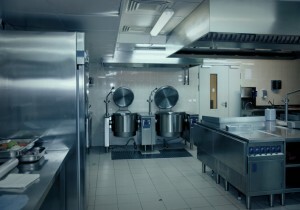 Protect your commercial kitchen with grease duct cleaning in Irvine CA. 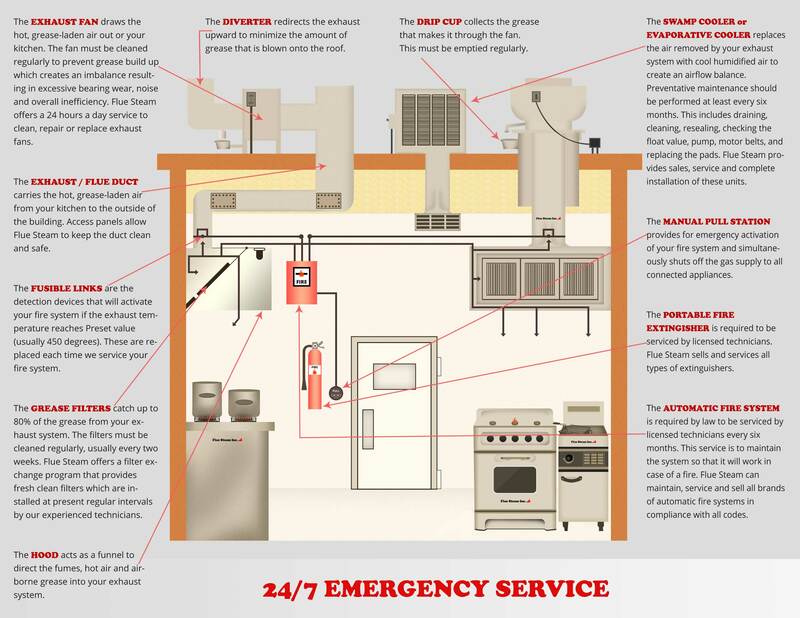 As the operator of a commercial kitchen, you may feel like you already know everything there is to know about the benefits of grease duct cleaning in Irvine CA to reduce the risk of a catastrophic fire in your ductwork. But do you know what factors to consider when choosing a company to provide this service? Wondering why you should choose Flue Steam to provide your grease duct cleaning in Irvine CA? We are a 40-year veteran of the industry. Our long history tells you two things: 1) we know what we’re doing, and 2) our clients are happy. We know all the ins and outs of relevant fire and safety codes in your local area. We employ certified technicians. We are an IKECA member company, which means our employees have completed various training courses with International Kitchen Exhaust Cleaning Association. But we’re not just about book learning–our employees have had ample practice in the techniques learned in these courses thanks to years of real world work experience providing grease duct cleaning in Irvine CA. We offer two types of cleaning. Many companies claim to provide a thorough grease duct cleaning but in reality only provide a cursory hand scraping of the exhaust hood and other easily visible parts of the system. At Flue Steam, we offer both hand scraping and steam cleaning to provide a truly deep clean to every inch of your ductwork. We help you tailor your cleanings to the needs of your business. Often, business owners struggle to figure out just how often they should be getting grease duct cleaning in Irvine CA. Should it be every month as recommended, or some other interval? At Flue Steam, we measure the depth of grease deposits in your ducts before each cleaning. Using this data, you can begin to project when a dangerous depth is likely to be reached and adjust the frequency of your cleanings accordingly. This helps strike a balance so you don’t risk costly overcleaning or dangerous undercleaning. We make it easy to schedule cleanings. At Flue Steam, we do our best to respond to all requests for grease duct cleaning in Irvine CA promptly so you don’t risk falling behind on this important safety measure. We also provide convenient stickers that state the date of the last cleaning to help satisfy code inspectors and help remind you when to schedule your next cleaning.